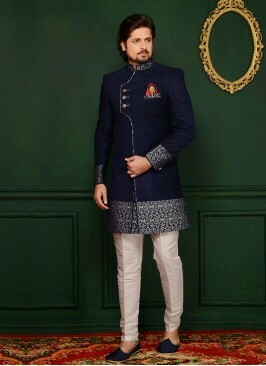 _x000D_ Winsome orange with red shaded designer three piece jodhpuri suit designed with floral digital print, fancy pocket and broach is representing a royalty in itself. 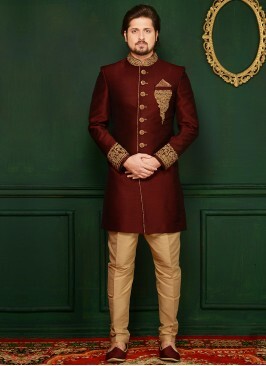 Comes with matching PESHAWARI. 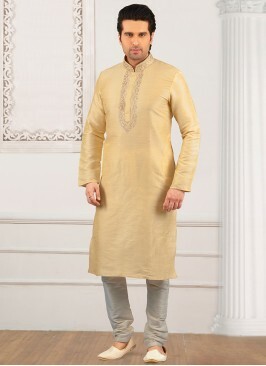 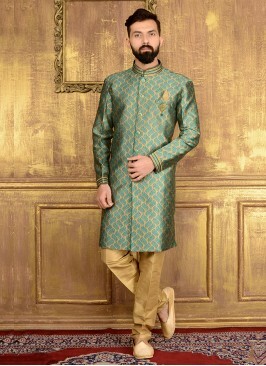 Zari Work Sea Green Kurta..